Oftentimes, those who suffer from eating disorders also engage in acts of self-harm or self-injury. Self-harm, also referred to as self-mutilation or self-injury, is the act of purposefully and impulsively harming the surface of one’s own body without the intention of suicide. Empathizing with self-harm victims can be very challenging for those who do not face it personally. Individuals who engage in self-harm do so to cope with very complex and painful emotions, usually indicating a much more serious mental health concern that should not go unaddressed. At Rosewood Centers, we understand the intricacy of self-injury and know that a full recovery requires physical, emotional, and spiritual components. Our self-harm treatment programs employ an integrated approach to healing, combining traditional and innovative therapies to target the disorder at its origin, not just put a band-aid on the symptoms. Whether the onset of a self-harm condition began as a result of a mood disorder, an eating disorder, substance abuse issues, or trauma, our advanced self-harm treatment aims to heal the whole individual: body, mind, and spirit. Everyone – men, women, and adolescents – is deserving of a full, happy life, unobstructed by the pain of self-injury roadblocks. Treatment is available for long-lasting recovery. People who engage in self-injury do so to self-medicate a larger issue. Self-harm is most often a symptom to another mental illness that should only be diagnosed by a licensed psychiatric professional. It’s important to receive proper diagnosis to determine the cause of self-harm behavior and properly treat the root of disorder. Borderline Personality Disorder. About 70-80% of people who engage in nonsuicidal self-harm exhibit strong signs of borderline personality disorder (BPD), which is a mental health illness characterized by an ongoing instability in emotions, behavior, and self-image. People with BPD tend to be very impulsive and moody, making it difficult for them to maintain school, jobs, and healthy relationships. Feelings of isolation, inadequacy, and anxiety can cause individuals with BPD to turn to self-injury as a means to temporarily relieve stress. PTSD and Trauma. Self-injury habits could also be caused by trauma or posttraumatic stress disorder (PTSD) from physical abuse, sexual abuse, separation, neglect, unstable relationships, war, poverty, and unemployment. These traumatic events can create scars on the lives of victims that cause long-lasting emotional damage. Individuals who experience PTSD, typically in childhood, may try to turn to self-harm in attempts to block painful memories. Anxiety & Depression. Individuals are more likely to explore self-harm rituals if there is a mood disorder present such as depression or anxiety disorder. He or she may look to self-inflicted pain as a means to escape daily stressors, distract from painful emotions, and experience a dissociative state of mind. Drugs & Alcohol. People can also develop self-mutilation habits because of substance abuse, dependence, or withdrawal. Use of drugs and alcohol can cause individuals to begin engaging with self-harm behavior due to poor problem-solving skills and impulsivity. Self-harm is very common among children in their teenage or pre-teen years (ages 9-14). In fact, almost 90% of individuals who engage in self-harm begin to do so in their early adolescent years. For parents of children who self-inflict pain, this behavior can be extremely frightening and foreign. It’s important for parents to understand that self-harm behavior is not propelled by suicidal thoughts, but instead a sign that they are trying to cope with severe emotional pain, distress, and trauma. If your adolescent is practicing self-injury, express your concerns to a mental health professional with self-injury expertise before speaking with your child about your concerns. With professional psychiatric guidance, parents should approach the situation with the utmost sensitivity, calmness, and compassion. Cutting. Skin-cutting is a common form of self-injury, where individuals use a sharp, inanimate object to obstruct the surface of the skin, typically on the arms or legs. Cutting is a self-injury behavior most commonly seen among women. Impact with Objects. Individuals who perform self-harm might do so by hitting their head against the wall, head banging, or hitting themselves with objects. Burning. The act of burning could be done with matches, cigarettes, or candle flames. Scratching. This self-harm behavior could involve incessantly scratching of the skin until raw, obsessively obstructing a healing wound, or picking at the skin until blood is drawn. Hair Pulling. This method of self-injury is referred to as trichotillomania, a disorder characterized by uncontrollable urges to pull out one’s own hair from the scalp, eyebrows, eyelashes, or other parts of the body. People typically engage in this ritual to experience a rise in tension before pulling the hair followed by a sense of pleasure after the hair is pulled. Self-Poisoning. Almost 10% of people who explore self-injury also engage in substance abuse with drugs and alcohol. Consumption of harmful substances could also be a means of self-harm through poisoning of the body with the harmful elements in drugs and alcohol. 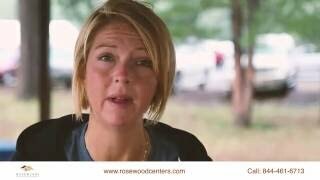 Rosewood Centers for Eating Disorders provides full and comprehensive treatment for self-harm patients through customized and effective treatment modules. 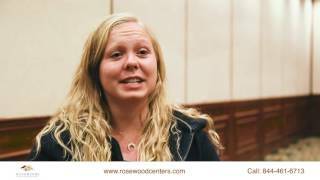 At Rosewood Centers, every patient who walks through our doors will feel at home, in an environment that is safe, private, and welcoming. With decades of combined experience, our eating disorder and self-harm treatment team of psychiatrists, doctors, and specialists treat every patient with compassion and revere. You can trust them to help guide and support you through your life-changing journey to self-harm recovery. Intake: Rosewood’s treatment process for self-harm patients begins with a comprehensive intake evaluation, where doctors and specialists will get to know each patient, his or her unique story, and reason for seeking treatment. The intake will also give our multidisciplinary team insight into the reason the self-harm behavior began, including the presence of depression, anxiety disorder, borderline personality disorder, posttraumatic stress disorder, eating disorders, or substance abuse. The diagnosis of co-occurring disorders will be the essential building block for a customized treatment plan. Customized Recovery: In-depth treatment plans are designed for every patient on an individual basis, because everyone has his or her unique needs. 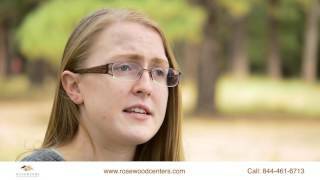 Depending on the condition and level of care, Rosewood offers a multitude of holistic, innovative, clinical, and traditional treatment techniques to heal the source of self-harm behavior at its root. Relapse Prevention: At Rosewood, we are there with you all the way through your life-changing journey to recovery. One of our biggest priorities is to set our patients up for successful, long-term recovery, which is why we also provide relapse prevention programs and after-care services. If you or someone you know is living with self-harm, effective treatment is available. Please call 1 (844) 334-7879 to speak with a knowledgeable staff member about any questions and concerns you may have. We look forward to speaking with you.